Brazil may be the favourites to win the 2014 World Cup on home soil but in familiar South American conditions, Argentina are highly fancied to win their first title since 1986. Lionel Messi is arguably the best footballer on the planet right now but can the Barcelona striker finally bring his best club form to the global stage and take his team to glory? Former Argentine midfielder Alex Sabella has named a strong squad to make the short trip to Brazil and it’s based around a powerful defence and great attacking flair. 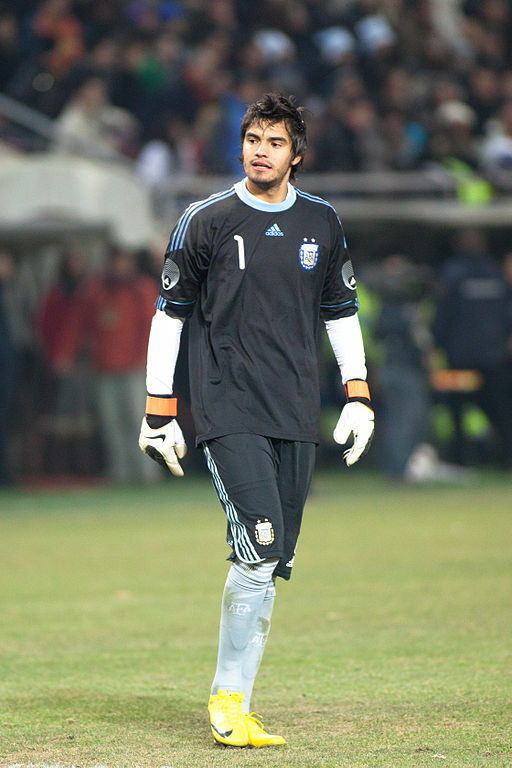 Monaco’s Sergio Romero is the first choice goalkeeper and he will sit behind a back four that features some of the most sought after players in European club football. Inter’s Hugo Campagnaro and Benfica’s Ezequiel Garay are in the squad but there is plenty of competition for places and unlike some other sides, Argentina’s starting XI is very tough to predict. The general consensus however is that Jose Maria Bassanta, Pablo Zabaleta, Marcos Rojo and Federico Fernandez will start. In midfield, expect Sabella to pick a three man central line which should feature Angel Di Maria, Fernando Gago and Javier Mascherano. That leaves the coach free to select the most potent attacking force in the entire competition. There are injury doubts over Sergio Aguero who has struggled this season through hamstring problems but Sabella will be hopeful that the Manchester City man is fit enough to team up with Lionel Messi and Gonzalo Higuain. That issue aside, Argentina should be looking to field the following starting XI from the first kick off. Romero, Bassanta, Zabaleta, Rojo, F. Fernandez, Gago, Di Maria, Mascherano, Aguero, Messi, Higuain. The obvious strength for Sabella’s side lies in the potency of that attack and you could get some good value in taking a Golden Boot bet on any of those three names. Sabella may want to keep Aguero back for the knockout phase, bearing in mind that Argentina’s group looks to be the easiest of the eight sections. 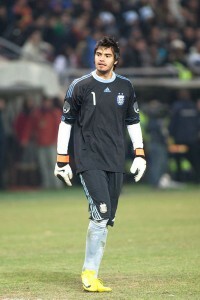 Romero also looks a solid keeper while the defence should be particularly tough tackling. Traditionally, those uncompromising defences have had the occasional issue with indiscipline and the side will have to guard against unnecessary red and yellow cards that could deprive them of key players at crucial stages of the competition. Detractors will also point to Lionel Messi’s relative lack of success on the international stage. For Barcelona, the 26 year old has scored an incredible 243 goals in 276 matches but for Argentina, his record is less than a goal every other game. For mere mortals that would be respectable but so much more is expected of Messi. At the risk of sounding obvious, much revolves around Messi and if the mercurial forward is on form, Argentina could go all the way to the final and deliver a profit in the outright win market at odds of 9/2 with William Hill. At the back, Argentina aren’t quite so experienced and keeper Romero will need to be at his best behind a defence that could be vulnerable. This isn’t a particularly young squad – Marcos Rojo is the youngest at 24 – but this could be a breakthrough tournament for the exciting Ricardo Alvarez. He may not be Sabella’s first choice behind the front three but if he gets his chance, we may see the skills that make him something of a fans’ favourite at Inter Milan. Argentina promise to be as exciting as ever but this year they could shake their tag of being one of the most unpredictable teams in World Football. Much depends on Messi but there is enough quality here to upset the odds and lift the trophy.